we stopped by the little carnival last week that’s happening this summer in central park right now (victorian gardens!) and had the best time because both E and S are finally tall enough for pretty much all the rides! josh and i took turns with conrad so we could be obnoxious and do a bunch of the fun rides, too (would you ever expect anything less?!) i love this kind of stuff. i remember when josh and i used to go to the county fair outside DC way before we even had kids. haha! it’s a good time no matter the age. oh man, i don’t know how i didn’t puke coming off that ride. samson wanted to spin that turn-y thing faster and faster while we were already up in the air and while he laughed the entire time, i truly panicked. it looks harmless, i know, but once you’re spinning fast while also rotating up in the air in the opposite direction, it’s a whole other story. i spy with my little eye, JOSH AND CONRAD! i might be the only one in the family who gets excited for cotton candy but samson at least pretended to for a minute there to make me feel better. i guess it’s a good thing my kids aren’t into it. i don’t know why that somehow bums me out though. LOL. do you think josh enjoyed it or what! how cute is this little crew of mine! heart eye emojis all around. ps. for where things are from– my hooded shirt (here) and jeans are from madewell (sold out now.) wearing salt water sandals and sunglasses from topshop. samson’s shirt is from crewcuts. eleanor’s shirt from here. samson’s shoes from here and eleanor’s here. conrad is being held in the ergo carrier. josh’s tennis shoes from here. another ps. a post from last year when we stopped by the county fair in utah! such fun memories in the making! little fairs are so magical, especially this one in the middle of nyc! aren’t you glad your kids are such gamers? we have a friend who’s little one doesn’t like to go on rides, waaa?! beautiful pics, naomi! I just want to thank you for choosing to focus in on all the good and wonderful things that are in life. there is always bad and good and its all about what we choose to focus on. Isn’t life so great?! Your entire family is adorable! And kudos to your husband who lets his picture get taken for the blog. Mine is a little bit more shy! 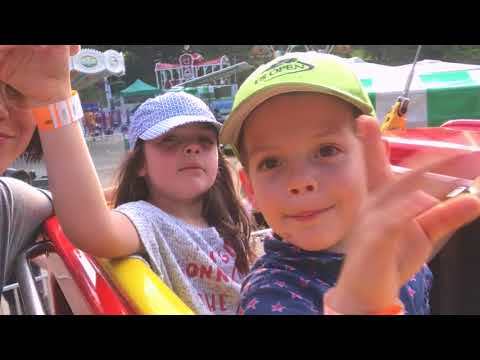 I love the county fair, because the rides are often do-able for my little ones. I especially recommend Toronto Island, for anyone who ever goes. Not really a county fair, but a great amusement park for small kiddos. We are thinking of going to our local one this week, and all I can think of is “funnel cakes” Yum! thank you so much for your sweet comment, aneesa! seriously, this is why i love this online community! i agree, it’s amazing to come from different cultures and faiths and areas of the world, but share our love of family or motherhood or life and relate to one another in that way! it’s just incredible. thanks for taking the time to share! you made my night! ps. singapore is on my dream list!!! what a beautiful place! S and E look so happy!! lovely pics as always of your beautiful family! I was just wondering if have the ERGO 360? Do you like it? and which do you prefer using if you have both. I am expecting my second at Christmas and I wanted a new baby carrier, i liked the look of 360 as baby faced outwards. Hope you well. we have both, and they are both great, but we definitely still use our old school model more than the 360. i prefer the clip around the waist over the long velcro band. but besides those minor detail details, there aren’t big difference besides the baby being able to face out, which is awesome! both options are so nice on both josh’s and my back and shoulders though, don’t think you can go wrong with either. These pictures are amazing! I’m amazed at how well the pictures on the rises turned out with pretty much no blur at all! I hope my photo skills can get to your level! thanks so much paige! struggle sometimes with movement or action in shots, but trying to learn more and do better. thanks for saying that! That last one if definitely a framer! I cannot wait to have three kids! So much work and so much fun! aaaadorable as always!! random uestions–any idea what your nail color is?! Your entire family is adorable! All the facial expressions are so fun! Looks like a great day. I love to see baby wearing daddies! Have Josh tighten the straps to bring Conrad up a little higher. The rule of thumb is “close enough to kiss,” so you’ll want Conrad’s cute little face almost up to your chin! haha aww, this looks like so much fun! 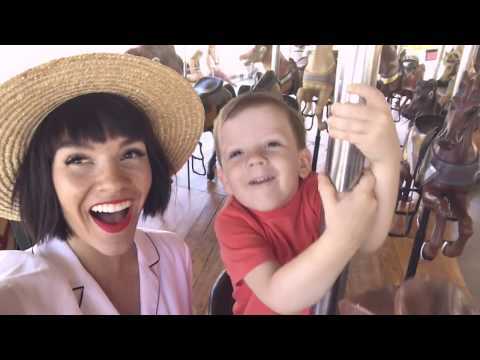 This post makes me excited for when my little ones are old enough to do rides at the fair!